or to connect multiple Ethernet enabled devices. 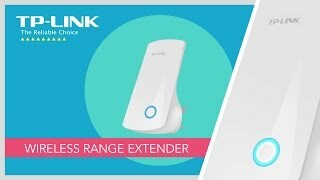 TP Link's Wireless N Access Point is designed to establish or expand a scalable high-speed wireless N network, or to connect multiple Ethernet enabled devices (such as game consoles, digital media adapters, printers, or network attached storage devices) to a wireless network. The AP supports a host of different functions that makes your wireless networking experience more flexible than ever before. Now, you can enjoy a better Internet experience when downloading, gaming, video streaming or with any other application that you may wish to use. With Passive PoE support, the TL-WA901ND can be powered using an Ethernet cable to simultaneously send data and electricity to wherever your AP may be located. This feature multiplies your options allowing you to place the AP in a position that is most convenient to get the best signal possible, such as on the wall or on the ceiling of your office. With support for AP Client, Bridge, Repeater and AP operation modes, the TL-WA901ND enables various wireless applications to give users a more dynamic and comprehensive experience when using the AP. Multiple operating mode also helps you to easily build a wireless network for hard-to-wire locations or eliminating wireless dead zone. More links for "450Mbps Wireless N Access Point (TL-WA901ND V5)"